As the 2015 Elite Women’s World Cyclocross Championship is practically open for the taking by a large number of racers, the folks here at Cyclocross Magazine won’t be making any hard-and-fast predictions, but we will be highlighting ten favorites as well as some outside contenders. With the weather now verging on the likelihood of snow the day before the Elite Races, the fast course of Tabor will also provide a few areas that will likely cause some spills, especially if the notorious Czech ice comes into play. Also, don’t miss our Elite Men’s Preview of Tabor. 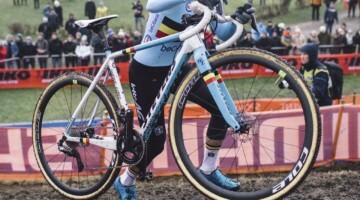 The resume of the Dutch National Champion hardly needs to be expanded upon, but there is no connection greater to ’cross than Vos. 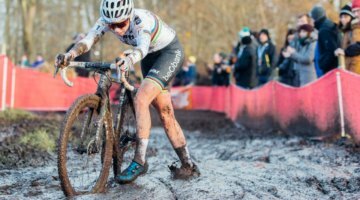 This seven-time world champion looks to make it eight, and the conditions of Tabor, a power course with a few icy pitfalls, is her ideal setting. 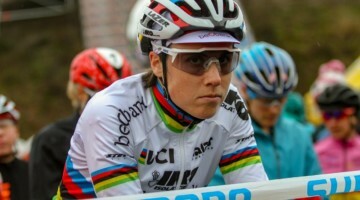 This year, Vos may have took some impressive wins, including a World Cup win at Zolder, but she is far from a safe bet. 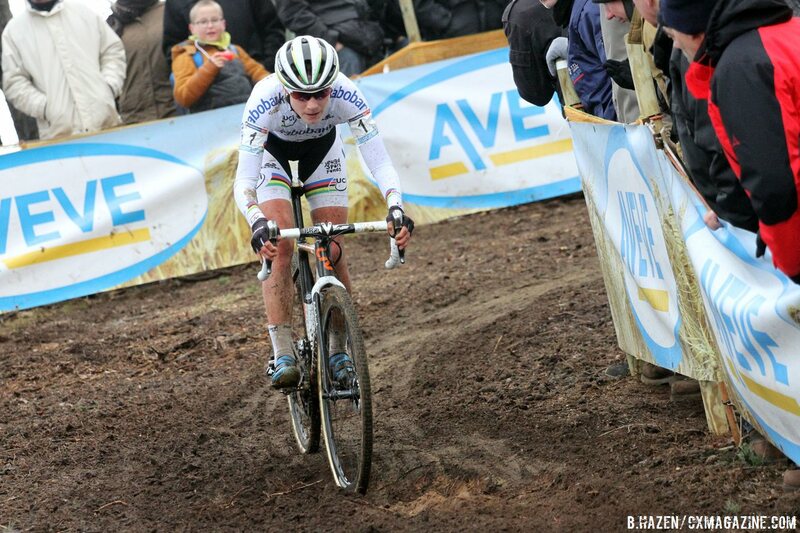 Katerina Nash and Pauline Ferrand Prevot managed to stay with her during Vos’s return to cyclocross this year, and the other two riders look very hungry for the World Championships. 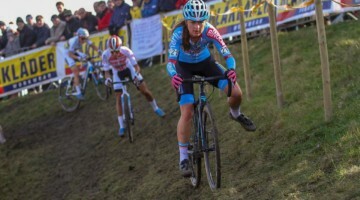 To complicate matters, during the Dutch National Championship, Vos aggravated her hamstring, and the result was the hard-plodding performance that could be seen at Hoogerheide on Sunday. Can she bounce back like she always does just in time for the championship race, or could this be the year that the Boss relinquishes her title? She’s been wearing the Rainbow Stripes since her second win in 2009, so don’t expect her to readily hand this title over.